Jeroen Nijhof has traced the published titles in UNESCOs Index Translationum. More titles were announced, but they never appeared. 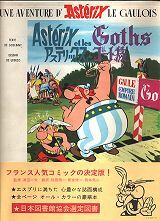 The Japanese series was discontinued due to lack of success. Info by Yann Vincent, and Elmar Duensser.